Fashion: Whitney Grace Najjuko tried her hands at an ordinary office job but it just was not cutting it for her, so she let go and did something that was fulfilling. A self-taught fashion designer, Najjuko creates pieces for daring and expressive people. Whitney Grace Najjuko is known for a number of things in different Ugandan communities. To some, she is a former Miss Uganda contestant, one of the actors that made a cameo in Nana Kagga’s drama Beneath The Lies, to others, a stylist that has worked with different personalities on both looks and makeup and to many, a fashion designer whose work they cannot wear. Yet Najjuko refers to herself as a creative that cannot help it: “I find myself creating even when I am supposed to be concentrating on something else,” she says. The fashion designer says as a norm for all educated people, she once tried getting office jobs but was bored most of the time. She is the founder of GNAJ fashion label, which at the founding in 2012 paid more attention to having haute couture and avanta garde approach to African fabric. Haute couture is entirely hand made while avanta garde is usually experimental, radical and an unorthodox approach to art. “I have done many things as far as design is concerned but none of them is one of my good works,” she says, adding that much of those works were gowns which looked like all the things people have been taught to love. A self taught designer, Najjuko says while in school, she could barely attend all the school’s programmes since she was asthmatic. This meant that she had to sit out of early morning classes. “I would use that time to read different books, and by the time I was a teenager I had read a lot on things such as capitalism, identity and much of this knowledge informs my experiments with works,” she says, adding that over time she has questioned formal designs. But even when she has always loved sewing things, Najjuko has not always known how to, and of course before she could even call herself a fashion designer, she at least needed to learn from a professional. During the day, she would learn from him as well as doing other things in his workshop, after everyone had left, Najjuko would sit on the sewing machine to perfect what she had learnt earlier on. Today, Najjuko has showcased at Bayimba International Festival, Royal Essense Magazine Showcase, Kenya Fashion Week and the Abraynz Style and Fashion Awards where she was also a nominee in 2014, among others. 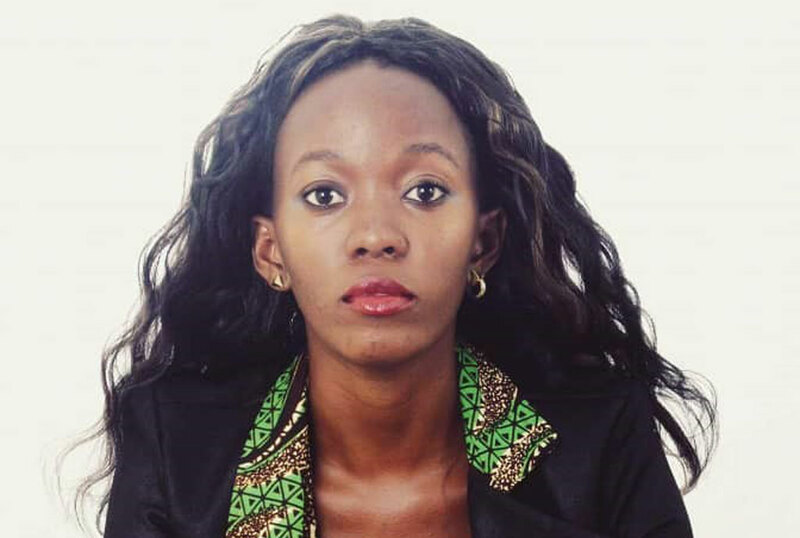 A graduate of International Business, the designer says she chose the programme from Makerere University Business School because she wanted to question things around international relations. Now Najjuko is focused on turning GNAJ into a global brand that people will know mostly for its work. Her brand name, she notes, is inspired by the story behind her indigenous name Najjuko: “Najjuko is a bold princess, the brand is a representative of my clients,” she says.